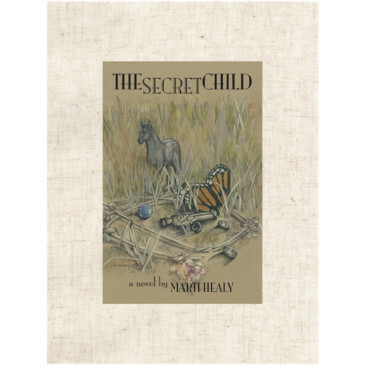 A timeless tale, written in a very lyrical style, The Secret Child appeals to a wide range of ages. One of those “favorite” books cherished by more than one generation, it gracefully transports the reader to a place and time. Set in 1855, the central character is a thirteen-year-old girl, Marika – an Irish Traveller – running between her thribli, or clan, in Boston and her arranged marriage with a gypsy leader named Jacko in the Midlands of South Carolina. Marika’s five-year-old brother, Danny, is with her but falls ill and dies on the journey. Cautiously, she allows herself to form relationships with a free black man, Joseph, and a Quaker woman, Maggie. The book interweaves highly disparate subjects and issues, such as slavery, human rights, and other harsh realities of 19th-century South Carolina, together with a mystical, light-and-shadows world of “Fairies” who inhabit a nearby heavily forested Carolina Bay. The Fairies of the Carolina Bay have an ancient Celtic history; no tiny wings and fairy dust, these are true spirits of the woods. The Fairies accept Marika to live among them until she can determine what she wants for her future. Marika is pursued relentlessly and cruelly by the gypsy Jacko, befriended with great loyalty by Joseph and Maggie, and protected unwaveringly by the spirits of the woods. But, in the end, it is up to her to decide between her realities. 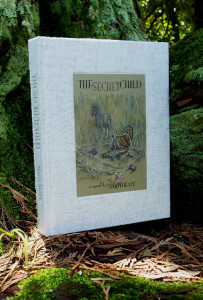 The Secret Child is finding a special niche in schoolroom settings as well as bedside tables – blurring the educational lines between literature, art, history, and even some science classes. 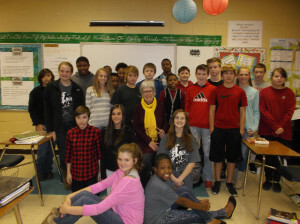 It has become a popular book club selection and a sought after gift book.